At last!!! The Superbowl trailer for captain America: The First Avenger is up!!! And it is awesome!!! Did you see the Red Skull? It looks amazingly sick. My only concern here is the poorly digitized body of Chris Evans (pre super soldier). Also from the treailer, Marvel has a treat for everyone of us. The Captain America: The First Avenger Prequel comics is out in digital format. And Yes, it is for free. Go read it here. 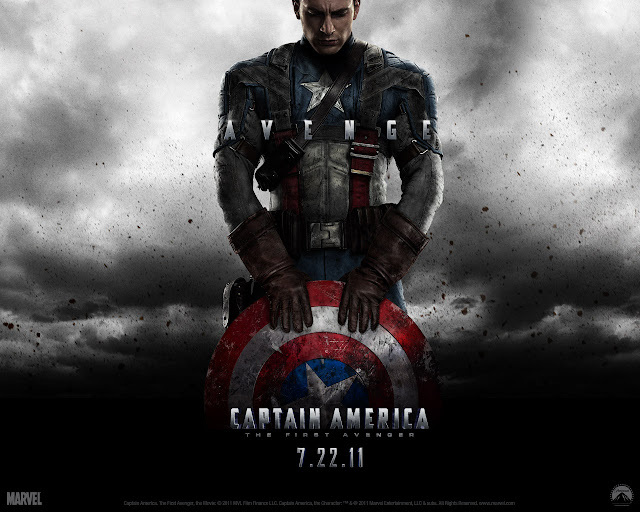 Captain American is set to premiere on July 22, 2011 from MArvel Studios and Paramount Pictyres. It looks great, and this is just the first part of a Captain America trilogy, they'll bring the helmet feathers in the sequel when the suit gets upgraded maybe. also, full on Avenger trilogy, and rumors of Chris Evans﻿ being in 3 other Marvel movies.